Good morning baby girl, it’s your birthday. You were born on a brilliantly sunny and warm spring day, in North Vancouver, the hospital framed by magnolia trees heavy with blossoms. Your birthday and magnolia blossoms always go together in my mind. 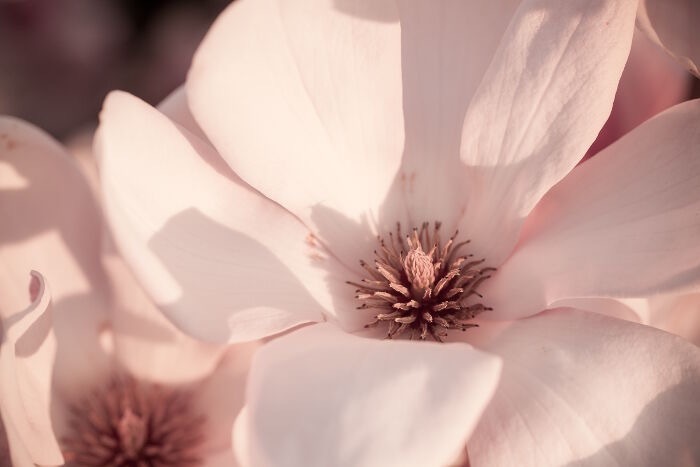 Speaking of magnolia blossoms, did you know that scientists believe that magnolia trees existed before bees? They believe that pollination occurred with the assistance of beetles. They were first noted in writing in the early 1700s. That is quite a history. More importantly than their past (I believe) is their present. They are so beautiful, delicate, yet firm. Shades of pinks, purples, pearly whites and even yellows. And a delicate, unique scent that no perfume has yet to duplicate. You, as well, are beautiful, unique, colourful. You, as well, were known generations ago, before bees … even before the world began. In the mind of God every detail of who you are was crafted to be delicate, yet firm. Every detail planned, every quality hand-grafted to your soul. Baby girl, YOU are God’s handiwork, not just a cellular mass of the genetic material combination of your dad and I. You are a handcrafted piece of art, formed by the hand of a creator who loves you, a love beyond any human love. A love that has been proved not just by words, but by action, by sacrifice. You have a purpose, to do good works. Not just a job that pays you money, so that you can survive, but a purpose that goes beyond even your own life. Your purpose is always to love others, as Christ loves, and by doing so you will reflect the image of the one who made you. So, today, open your presents, eat your cake, celebrate this new year of life and breath. Know that you are so very loved. Know too, that you have existed in the mind of God since the beginning of time … and He has a plan and purpose for you, beyond anything your dad and I could ever dream. Thanks for your encouragement, Claudia. It’s a slow restart, but it feels so good! so good to see a message from you:) Children are a blessing. Thank-you Esther. Children are truly God’s best instrument!